The Freshman Academy is a program designed to facilitate a smooth transition from 8th grade to 9th grade. Students in the Freshman Academy will have classes during the first 3 periods of the day in flexible blocks of time and smaller learning communities that allows for both individual and group instruction. 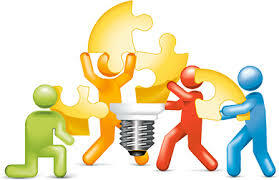 The Freshman Academy Team will engage students with hands on learning practices and will focus on connecting our academic content and state standards to community and real world issues providing more context for the course work. The goal of the Freshman Academy is to provide a positive and supportive freshmen experience for students and put them on the right track at the start of their high school career. With the credit requirement increase by the State of Washington for graduation starting with the class of 2021 and beyond, it is critical for students to succeed their first year for on time graduation. The Freshman Academy will also offer additional field trips and guest speakers as well as project-based learning of core academic skills through a team teaching interdisciplinary approach. Through this process the students will build their communication, collaboration, and research skills through a project-based experience. Education is not a one size fits all formula and we are providing opportunities to meet the learning needs of all of our students and build a model supporting freshman through some of the challenges of the transition to high school. These include the transitions between classes, greater workload, higher expectations for independent study and the reduction in instructional support as compared to the middle school setting. Research indicates and our data supports that freshmen who fall behind spend the rest of their high school career trying to catch up. All full-time students have the potential to earn 6.25 credits each year. Our data reflects that 92% of students who earn 6 credits by the end of their freshman year graduate on-time. 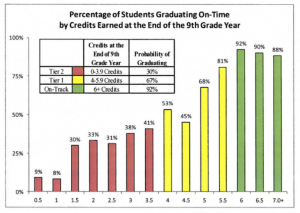 68% of students who earn 5 credits graduate on-time. 53% of students who earn 4 credits graduate on-time. Based on our data and the research, it is crucial that our 9th grade students receive the necessary support, guidance and educational experience they need to not only have a smooth transition but to be on target at the conclusion of the freshman year to graduate on time. Q: How is my student’s schedule impacted? Q: Where will the bus drop off and pick up my student? A: All Washougal HIgh School students are dropped off and picked up on the Northwest side of WHS. Q: What will my student gain from attending the Freshman Academy? Q: Why are the students in the Excelsior building instead of at Washougal High School? Q: Will my student be held to the same academic standards as all other WHS 9th graders? 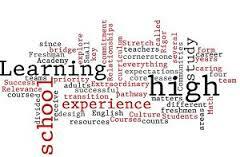 A: The Freshman Academy curriculum is college & career prep which is similar to any coursework we offer at WHS. Individual support is facilitated by our smaller class sizes and the extra support period team-taught by the math, English, and science teachers. Q: Who can attend the Freshman Academy? 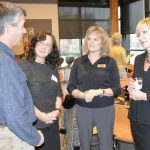 A: Any Washougal High School freshman can attend the Freshman Academy if they desire a smaller learning community, and a collaborative and individual learning environment then the Freshman Academy is perfect. Q: Who are the teachers/administration/staff in the academy?